"There are only two tests of a life well lived", L. Ron Hubbard once remarked. "Did one do as one intended? And were people glad one lived?" 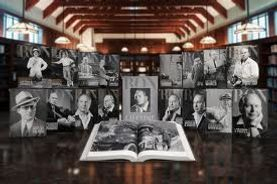 In testament to the first stands the full body of his life’s work, including more than ten thousand authored works and three thousand tape-recorded lectures of Dianetics and Scientology. In evidence of the second are the hundreds of millions whose lives have been demonstrably bettered because he lived. They are the generations of students now reading superlatively, owing to L. Ron Hubbard’s educational discoveries; they are the millions more freed from the lure of substance abuse through L. Ron Hubbard’s breakthroughs in drug rehabilitation; still more touched by his common sense moral code and many millions more again who hold his work as the spiritual cornerstone of their lives. 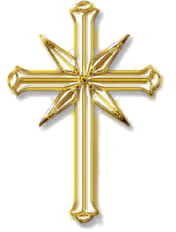 What Scientology offers is likewise what one would expect of a man such as L. Ron Hubbard. For not only does it provide an entirely unique approach to our most fundamental questions—Who are we? From where did we come and what is our destiny?—but it further provides an equally unique technology for greater spiritual freedom. So how would we expect to characterize the founder of such a religion? 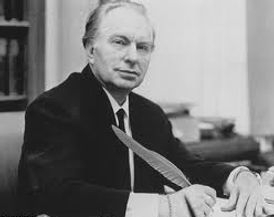 Clearly, he would have to be larger than life, attracted to people, liked by people, dynamic, charismatic and immensely capable in a dozen fields...all perfectly describe L. Ron Hubbard.